2015.5.4 rockin'on presents JAPAN JAM BEACH 2015出演決定!! 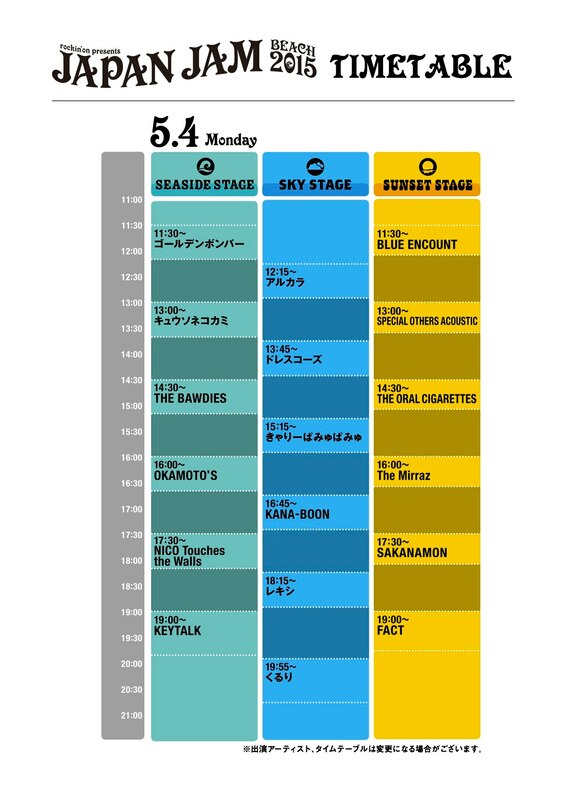 2015年5月3日～5日に行われる rock'n on presents JAPAN JAM BEACH 2015に出演決定! !